In 1998 we moved from the Monmouth Diocese, where we had lived and worked for 21 years, and joined All Saints Church. At that time Sue Pinnington was the curate under Michael Covington. Early on, Sue organised a Parish Weekend at Whitby, staying at Sneaton Castle Centre. We decided to join this visit as it would provide an opportunity to meet informally other church members. 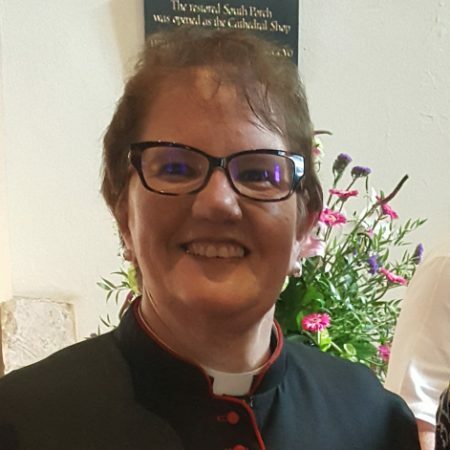 Shortly afterwards Sue moved on to be Vicar of Cottingley in the Bradford Diocese, and subsequently to be Rector of Houghton le Spring in the Durham Diocese. Two weeks ago we were at the Speech Day of Monmouth School, where we had both worked, and then drove to Monmouth Diocesan Cathedral in Newport to attend a special service to inaugurate a new Archdeaconry of the Gwent Valleys, and then to install Sue Pinnington as the first Archdeacon. Some invited Oakham people were unable to make the long journey so we felt we would like to represent All Saints. The cathedral is about half the size of All Saints, the service was for invited guests only and we did not have tickets – however we managed to successfully plead our case! 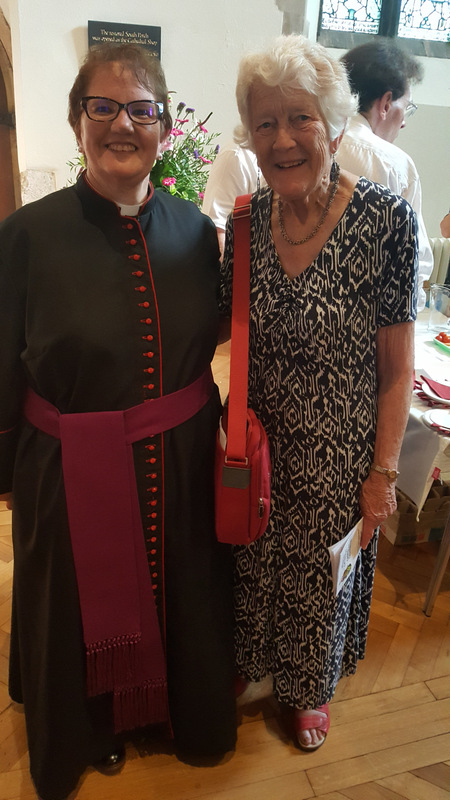 Sue looked splendid in her new cope and she looks forward to the challenge of working for the Anglican Church in the Gwent Valleys where it has limited impact in these former mining communities. Sue will also be Diocesan Director of Mission, she has much in front of her!